TinyBuild Games has always leaned a bit toward the eccentric. Their retinue of games from No Time to Explain to The Final Station spans numerous genres and playstyles. They seem to be able to create compelling gameplay from out of nowhere. Despite how much I have enjoyed some of their more "contemplative" titles, I've always held a special place in my heart for the kind of fast paced, quick-reacting gameplay. When I first saw Clutertruck at PAX last month, I had to give it a go. The premise is simple, if a bit weird. You start on the back of a truck in a sea of trucks. 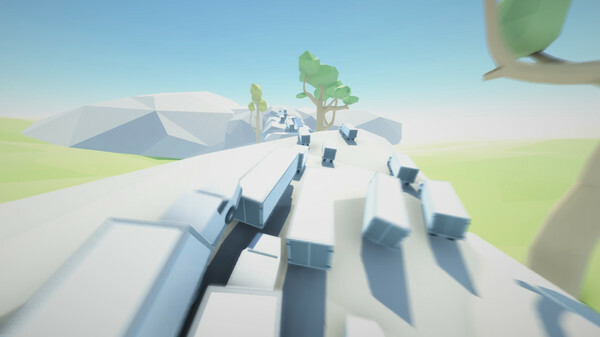 Your goal is to navigate the trucks as they navigate the terrain (sometimes rather poorly) and not to touch the ground. The points you earn can buy you powerups that add to your truck-jumping abilities. Small things like a double jump or the ability to slow down time for a little bit. Beat 10 levels and it moves you on to the next world. I'm on the "laser" world at the moment and it is getting a bit absurd how difficult the levels are. 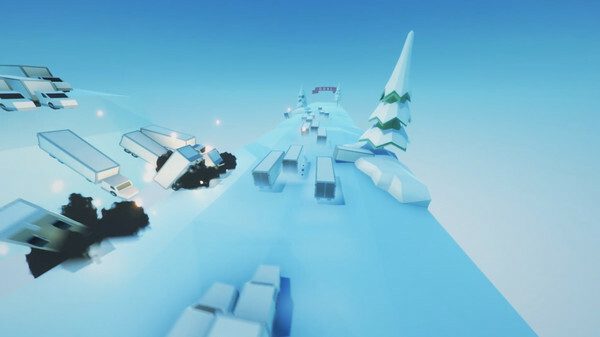 Clustertruck is as much about planning as it is about jumping. Though you learn it pretty quick, the controls take some getting used to before you are jumping through over and around obstacles with any kind of precision. Those moments when everything goes just right and you nail the landing exhilarating to say the least. There is one problem however that has gotten in the way of my enjoyment a time or two. The lines of trucks are all headed to the same place. Add in the obstacles in the levels and you've got a perfect recipe for chaos. The trucks sway wildly, flip over and even explode. Usually there are enough trucks that navigating from trucktop to trucktop isn't too hard, but in the event of a particularly bad collision, the resulting pileup can eradicate your chances of ever getting to the next group of trucks. Losing a level because of something totally out of your control is nigh on rage inducing. Usually though, the over-the-top fun parts outweigh the more aggravating moments in Clustertruck. Clustertruck is available on Steam for $11.99, 20% off it's normal launch price. A pre-purchase for the game guarantees admittance into the servers before the official launch on the 27th of September.